In January, our Socceroos will battle to hold their crown as kings of Asia at the 2019 AFC Asian Cup, aiming to go back-to-back for the first time in our history. 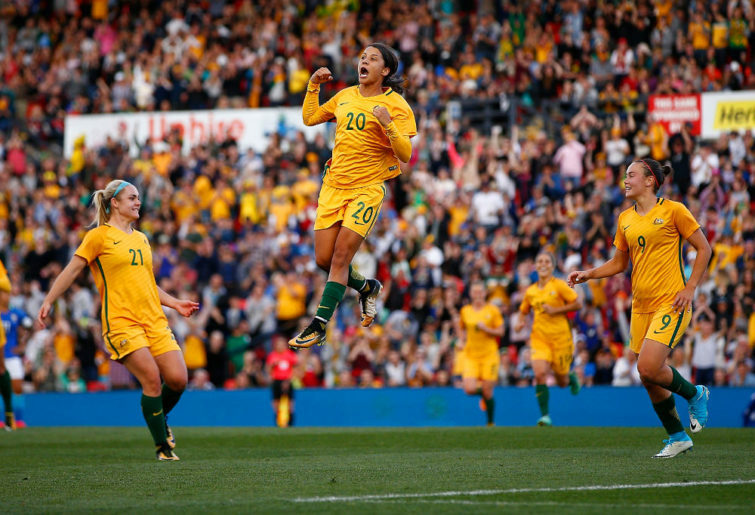 While in June, the Matildas will head to their sixth FIFA Women’s World Cup, hosted in France — aiming not only to compete, but to win the tournament. As a nation, this is unprecedented. Never before has there been more buzz surrounding our national set-up, and never before has their been a more confident group of footballers. This could be our year. These are stories that we look forward to seeing unfold, while they become faith driven tales to look back on fondly. Go you Aussies! But in keeping with that same spirit of fondness and retrospection for the year to come, there will be an equally important milestone to celebrate, sitting quietly on the fringes—the 10th birthday of our National Curriculum, a philosophical and technical blueprint for the future of football in Australia. Created in 2009 by then FFA Technical Director, Han Berger, the National Football Curriculum was—and remains—an indispensable guide for grassroots and professional coaches alike, belonging as a milestone in the evolution of football in this country. With its creation, Australian footballers, coaches and inquisitive supporters of the game finally had access to a set of principles and fundamentals that would shape our nation’s future in the sport. With this text, Australia would finally have its foundation, and from it—could craft an identity. With Berger’s appointment as FFA Technical Director, the Curriculum took further inspiration from Australia’s Dutch influence, stemming from direct and indirect influences: Guus Hiddink’s triumph as national team coach and the worldwide successes of integrated Dutch development programs. But it wasn’t an imported piece of propaganda; nor was it a half-baked solution to a developmental crisis. The text was the first declaration that Australia would not remain a fringe nation on the global stage. Australia would finally commit to a national identity. The Curriculum has always had its critics. And it seems that whenever one of our nation’s youth teams do not succeed on the world stage—the curriculum is to blame. 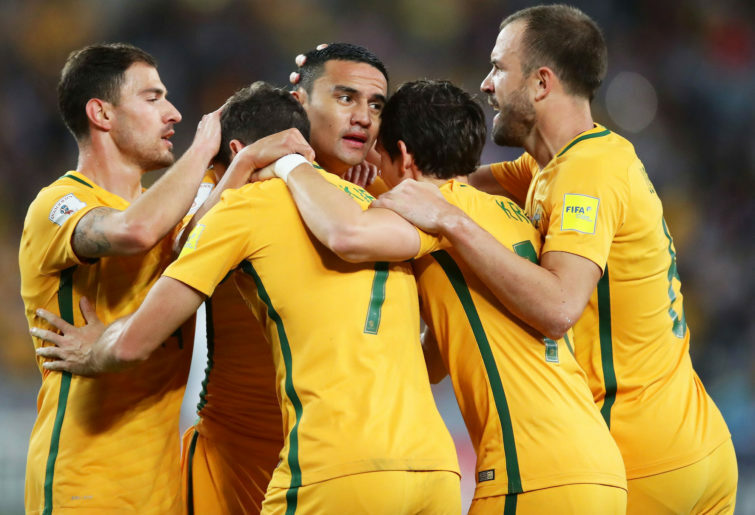 After the Olyroos’ failure to qualify for the Olympic Games for the second time, in 2016, the Curriculum was blamed. As Les Murray put it, the performances had nothing to do with the Curriculum, frankly, because the players involved in the team were never ‘caught in the net of the new curriculum’. This speaks largely for the current crop of footballers representing our country, which, although high achievers in Asia, are not examples of what the Curriculum is setting out to produce. To consider what we have already achieved, without the benefit of time, is quite astounding and very exciting for the future. In saying that, however, the Curriculum is not at all without its faults. Although a landmark text in terms of its depth, structure, philosophy and formation — to which FFA deserves enormous credit — it does present a unique set of obstacles and setbacks for its implementation at all levels. In some respect, I believe the introduction of the Curriculum and its program prescriptivism to be anathema to part-time, grassroots football coaches; its introduction has only made the job harder for a level that should only ever have been about fun. For me, grassroots was always your point of entry, your first taste of the beautiful game, and to sacrifice that would be a travesty for the future of junior football. In this respect, I consider the Curriculum to be a document that caters for the future — when our elite level is structured from the top down — and not the fragmentary present. The infrastructure required to deliver professionally accredited, thoroughly pre-conceived sessions, understandably, does not exist at local level. Furthermore — from the top down — the Curriculum has been accused of being under-funded since its inception in 2009. Ten years down the line, I can say firsthand, having gone down the pathway as an accredited coach, that it still remains under-funded. This is compounded by the fact that, at the grassroots level, most of the people involved at any junior set-up will be either volunteers, parents or part-time coaches. Furthermore, this constraint remains for elite football coaches — from advanced youth through to adult NPL level — who are often forced to work outside of football due to a lack of funding. All the while, these coaches are both expected to deliver planned, analysed and pro-active sessions while maintaining full accreditation. If you’re a long-term coach, these require regular re-certification. To my mind, I can’t quite understand what the incentive at the grassroots level — a level often run by volunteers — would be for a coach to go out on a limb. A question of practicality becomes a question of philosophy. “It’s a subject that we’re never going to get away from. “Some women are still earning below the minimum wage and anyone with a brain knows that it’s not right for the amount they give up to play football,” she said. Ms Kerr may be arguing for players’ wages, however, I believe it speaks of a greater concern surrounding the entire professional female ecosystem. Therefore, the situation is equally as concerning for coaches. On the flipside, however, having more prepared and astute coaches at all levels can only be to the benefit of the sport. In this respect, the blame for a lack of funding falls not on the text itself, but upon the shoulders of the organisation responsible for its facilitation —FFA. Therefore, at this stage, the Curriculum has only been realised to its full potential at the elite male level — where both the compensation and responsibility of running programs to this degree of excellence equally meet. With all that being said, I remain cautiously in favour of the Curriculum and its goals. We need to be patient, and allow the processes already set in place to run their course. If we relinquish the current Curriculum, we risk running into the same problems as the current MLS. In designing their curriculum, America took the quickest path to the top without even considering the ramifications of rushing. What they have now is a retiree league, where washed up ex-pros come for one final pay-cheque. We don’t want a league that looks for a saviour in every signing; we want a league that will thrive on the strength of its own country’s talent. For that, we must wait patiently.